[Blind Gossip] This TV man will go to great lengths to try to make you believe he is something he is not. His latest attempt includes starting rumors about himself to try to dispel those pesky gay rumors. I know you say he is gay, but let me ensure you he is not! I met him at the Drake concert in LA last week end and ended up hooking up with him. He is easily one of the most skilled lovers I’ve ever had, and he’s totally hung to boot! HUGE. Straight and skilled and huge. Riiight. 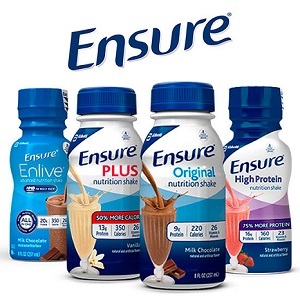 It would be more accurate to say that “Ensure” is what this guy will be drinking by the time he comes out of the closet! Next thing you know, he will be pretending that his failing business is making him rich. However, let us “ensure” you that the only thing rich about him is his bestie… who actually is a very rich and very famous reality star! Jonathan Cheban, Kim Kardashians bestie….Gay as gay can be!! They both creep me out. Plastic faces. def gay. I do not see the problem…why doesn’t he come out and say he is gay if he is?! Aren’t these always about Ryan Seacrest? The Drake concert reference seems like its not this time though. Nobody believes he is straight. No one. Are we talking about Jonathan Cheban again? Optional: I suspect that he’s gay but I really have no idea. Don’t know what all of the fuss us about. Kim Kardashian’s bestie, Jonathan Cibrian. Does anyone think he’s straight? Gay. Not sure why he’s trying to portray otherwise. Who cares? I guessed JC & Kim K. Johnathan just showed he “purchased” a $400k car even though he’s broke. But I still can’t get the Ensure clue either. That nasty little weasel Jonathan Cheban. Kim Kardashian’s BFF Jonathan Cheban? Dunno if he’s gay, straight, bi, whatever, but regardless it is unimportant. It’s too bad people feel they cannot be their authentic selves. He won’t come out of the closet til his parents are dead. Sounds a lot like that Jonathan Cheban guy.